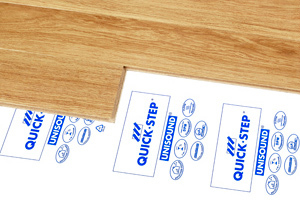 Quick-Step hardwood floors can be installed floating or glued down. The choice is yours. 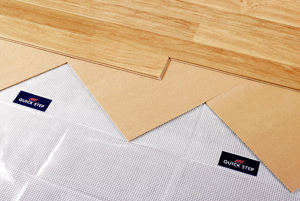 developed to glue your Quick-Step wood floor to most types of sub-surfaces. Ideal for places where there is a lot of traffic. 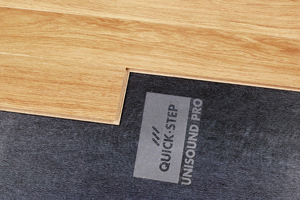 Unisound is the classic Quick-Step underlay. A good basis for places with less traffic. Ideal for an upper floor or apartment. 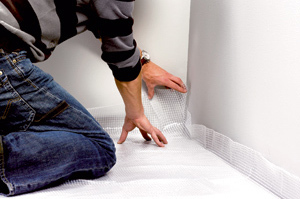 Softboard and the Quick-Step Screen. 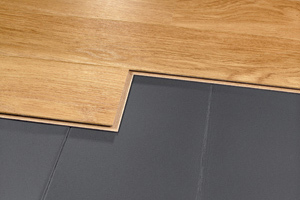 The perfect fit for highly uneven floors. 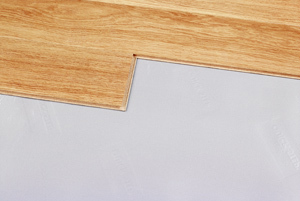 -Step Softboard also increases floor insulation. installation is quick and with fewer grooves. The perfect choice for rooms with floor heating. also nicely levels out your base floor.